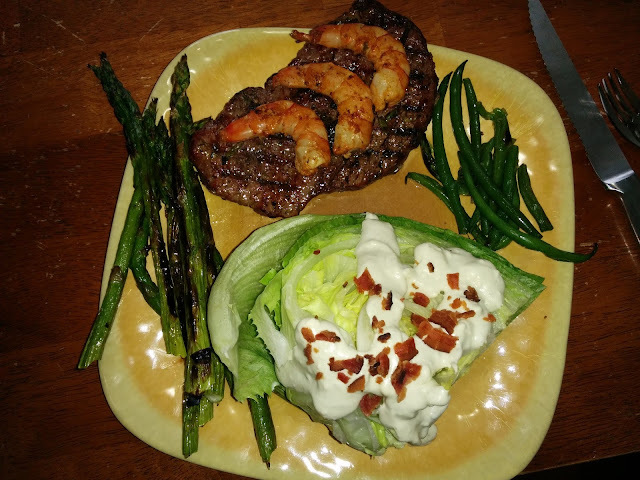 Surf n turf off the grill with wedge salad, asparagus and green beans. Blue cheese dressing for future reference was homemade mayo, blue cheese and red wine vinegar. 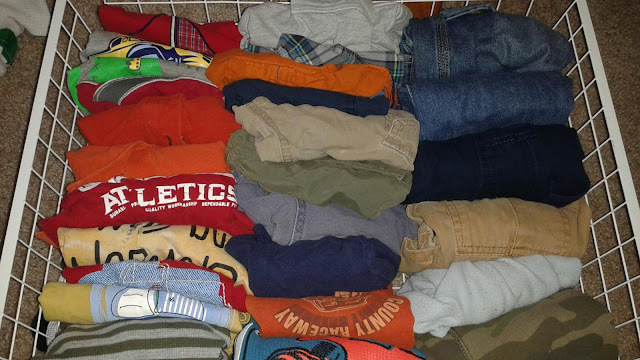 Folded my two year old's clothes konmari style. This only happens once a laundry cycle if in in the mood. It looks so nice though and he has a much easier time pulling out what he wants to wear. It lasts longer than I thought it would before it gets dumped out. I never used to fold but I have to say, it's fun to do it this way. Cherries from our tree out front. 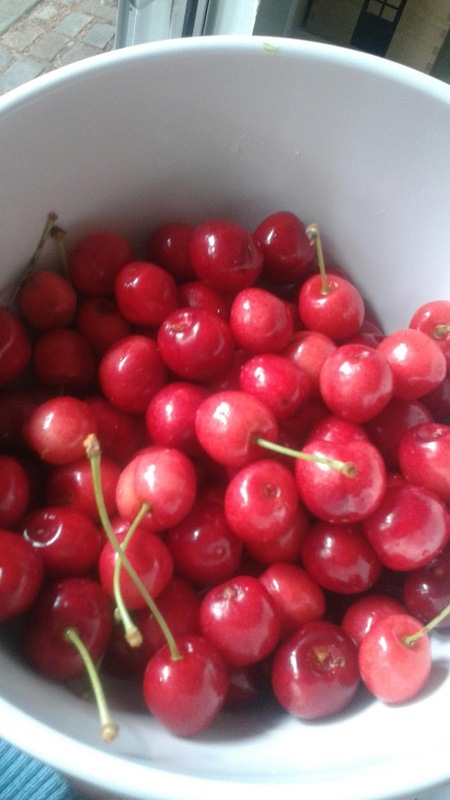 Not a big harvest ~ these are all of them that weren't grazed by birds or children ~ but it's been super fun to watch them ripen and the kids have loved going out front to pick cherries to eat. Yay for summer and fruit trees! Dim kitchen picture but so be it. These actually turned really well. 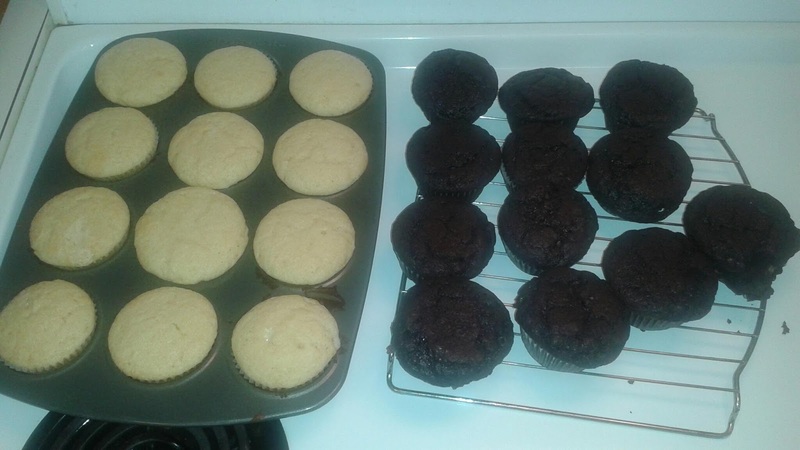 I feel like every time I want to make cupcakes, I'm looking for a new recipe. This time I think was a better success than last time so I'd like to be able to find these recipes again. Generally, I think I just prefer pie though. Cupcakes are just so sweet. And really The Boy just likes ice cream anyway. My kids keep wanting cupcakes for birthdays though. I think in their heads they really like them. And I used this frosting. It's so easy to make them from scratch. I really don't know why I keep thinking I want to use a box mix to simplify. It's really simple already - now that I don't have to keep hunting for a recipe. 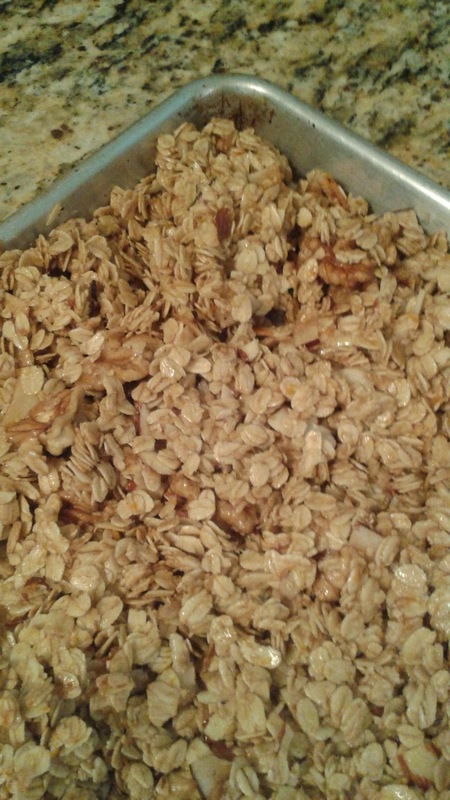 I made another batch of granola today. It's so good! Mix together and dump onto rimmed cookie sheet. Bake at 250° for 2~3 hours, or until dry, stirring every 45 minutes. Remove from oven and add dehydrated blueberries or raisins. This was so good. Really yummy and filling. And a broth based soup that V likes - hurrah! Also, the veggies can easily be chopped ahead of time and frozen for a do ahead meal. Serve with grated cheese, sour cream, guacamole, and tortilla chips if desired. For our family, this was 2.5 meals. So, so good. Well, they don't look like much but they are soooo good! My sister HOF sent me this recipe for Lemon Meltaways. It sounded like it might be delicious and on our current cleanse, we are off dairy, grains, and sugars including fruit (stevia is ok) - so I was really wanting a treat. Anyway, they did not turn out for me. I think my lemon was really big because all I could taste was lemon juice and the texture was like eating coconut oil by the spoon. Bleh. So... I started experimenting - and I'm so happy with the results! 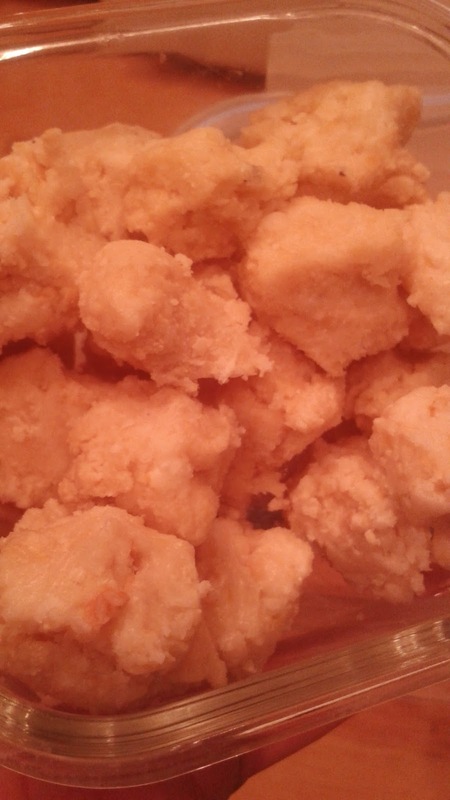 Paleo fudge! Mash coconut butter and oil with a fork until well blended. Warm just barely on the stove, if needed, to get them to mix. Mix in bowl with vanilla, stevia and zest. In a ziploc bag, mash cashews and coconut. Mix into coconut mixture. Mix well. Drop by rounded teaspoonfuls and refrigerate until firm, about 30 minutes. Mash coconut butter and oil with a fork until well blended. Warm just barely on the stove, if needed, to get them to mix. Mix in bowl with vanilla, stevia and cacao. Drop teaspoonfuls into slivered almonds and roll to coat. Refrigerate until firm, about 30 minutes.